And yet there is time (in addition to the quality time he sets aside for his young family) to devote to promoting music – not only his music but the music of many other contemporaries and, lately, some of his teachers’ music too. Mr Cervini’s Orange Grove Publicity has embraced 2018 with a growing roster of artists. “I don’t feel that I’m really giving it my best,” he says with characteristic modesty, “But it seems to be working, and for that I am really happy,” he adds, when asked how things are shaping up as the year draws to a close. He has three people to thank for that. The first is his sister Amy, who first suggested the idea not long after he graduated from the Manhattan School of Music. It was Miss Cervini who encouraged him to set out on his own. “That made me think about it,” he says. “I realised that I could do whatever I wanted to do and did not have to be bound by any constraints. I enlisted the help of Johnny Griffith, to design and set up the Orange Grove website. It just so happened that he was also my first client as he was in the process of releasing an album too,” he added. “And now Dan (Fortin) has also jumped in to help. I really don’t know what I would do without Dan’s help because business seems to have just exploded,” Mr Cervini admits. As if that was not all, Mr Cervini also pursues two new (or not-so-new) ventures; both bands. 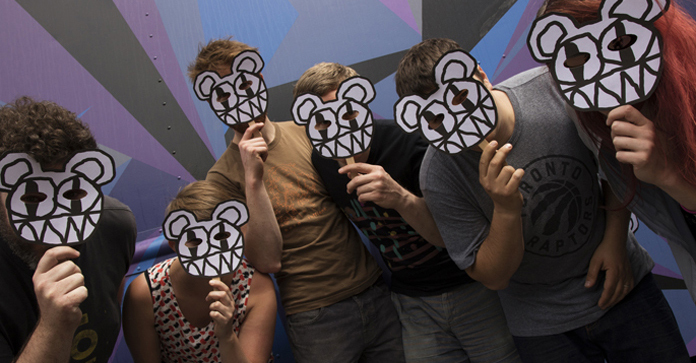 The first is one with a group of musicians who are dyed in the wool fans of the iconic popular band Radiohead. The group is called Idioteque and comprises Don Scott on lead vocals and guitar, Jessica Stuart on guitar and vocals, Charles Tilden also on guitar and vocals, Teri Parker playing keyboards, Liam Smith on bass, and, of course, Mr Cervini on drums and vocals. The other group is ampther questing trio featuring the brilliant bassist Rich Brown and another magnificent Toronto musician Luiz Deniz on alto saxophone. How much more is Mr Cervini capable of “any given Sunday” is any one’s guess. ANd there’s still one thing still remains a mystery. With just 24 hours in a day, how on earth does Mr Cervini find the time to do it all, or the energy to sustain him? And even though he is perhaps not close to the 185lbs that was suggested earlier, the fact remains that he expends an enormous amount of energy drumming for even an hour. It’s something that he simply cannot help as he plays a large role in determining the energy level coming off the stage and on the recording. 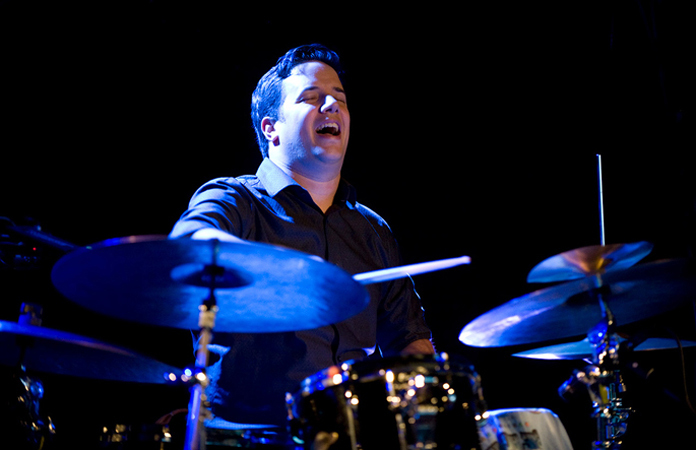 And like a certain Art Blakey, Ernesto Cervini may be built small, but the chances are with head and heart bursting with ideas and rhythm, the energy flows in quantum packets that might also have Max Planck nodding to the beat of his drum.